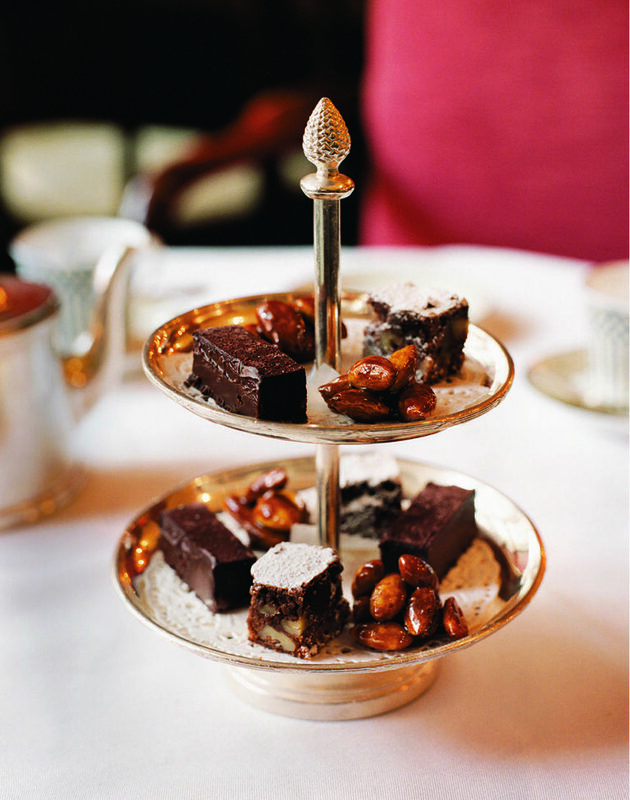 The only question with this simple chocolate brownie recipe is whether to make twenty full-size or many petit-four mouthfuls. Line a 33 x 28cm Swiss roll tin with baking paper. Preheat the oven to 180C/ fan160C/gas 4. Melt the butter and chocolate in a small pan over a low heat, stirring until melted. Remove from the heat and set aside to cool. In a bowl, whisk the eggs and sugar, until thick and foamy. Whisk in the chocolate, then fold in the flour and walnuts. Pour and spread in the tin and bake for 20-25 minutes. To check if the brownie is cooked, push a cocktail stick into the mixture, leave for 2 seconds, then remove – if the cocktail stick is clean and not sticky, it is cooked. Cool. Dust with icing sugar and, using a sharp-bladed knife, cut into 2cm square petits fours or larger slices, and wipe the knife clean often as the mixture may stick to it. The brownies will keep in an airtight container for up to 1 week. Is dark chocolate really a health food?